The Oulton Park Gold Cup was one of numerous non-championship F1 races still run in the mid-sixties. 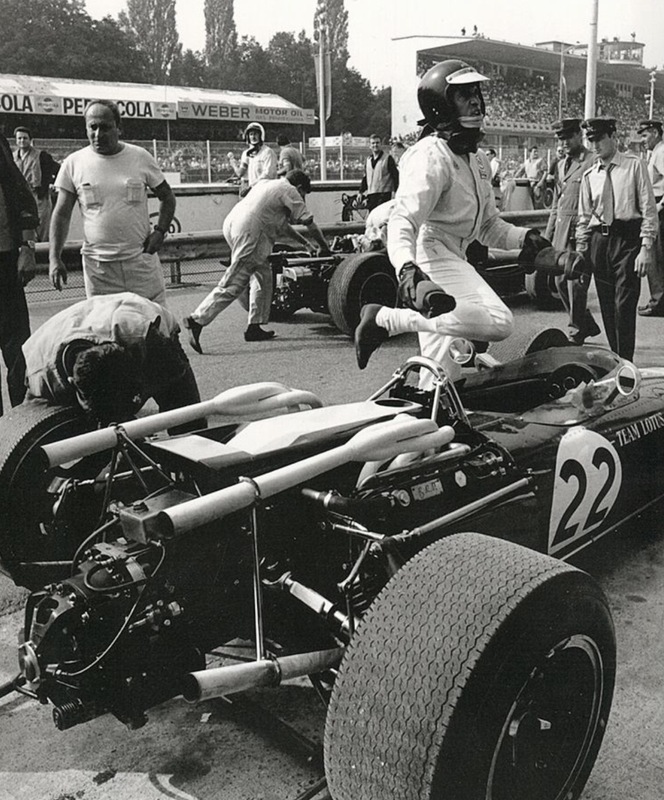 Clark practised the car but discretion was the better part of valour, he raced his reliable, nimble Lotus 33 Climax in the race won by Jack Brabhams’ BT19 Repco, the dominant car of 1966. 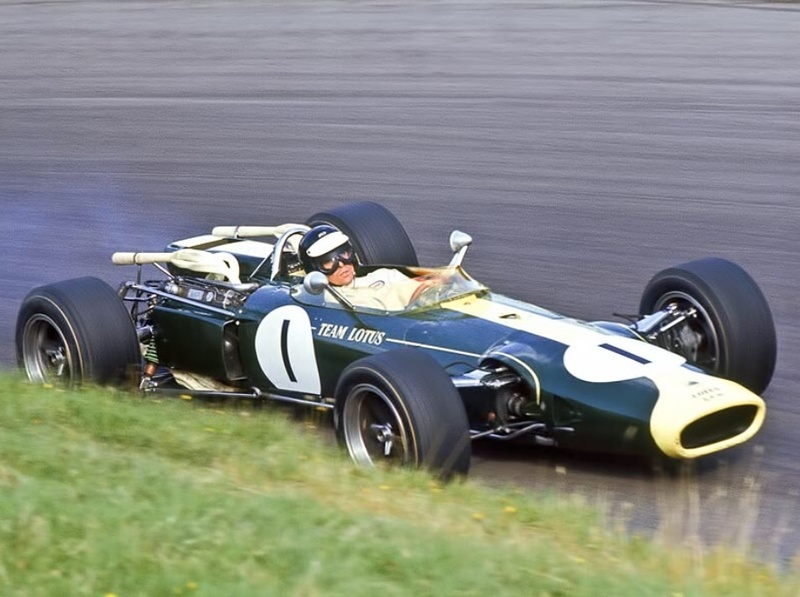 Clark finished third in the 33, a car he took over from teammate Peter Arundell after the H16 engine in his Lotus blew up shortly after setting the third fastest time, a time equalled by Jackie Stewarts’ BRM ‘H16′. 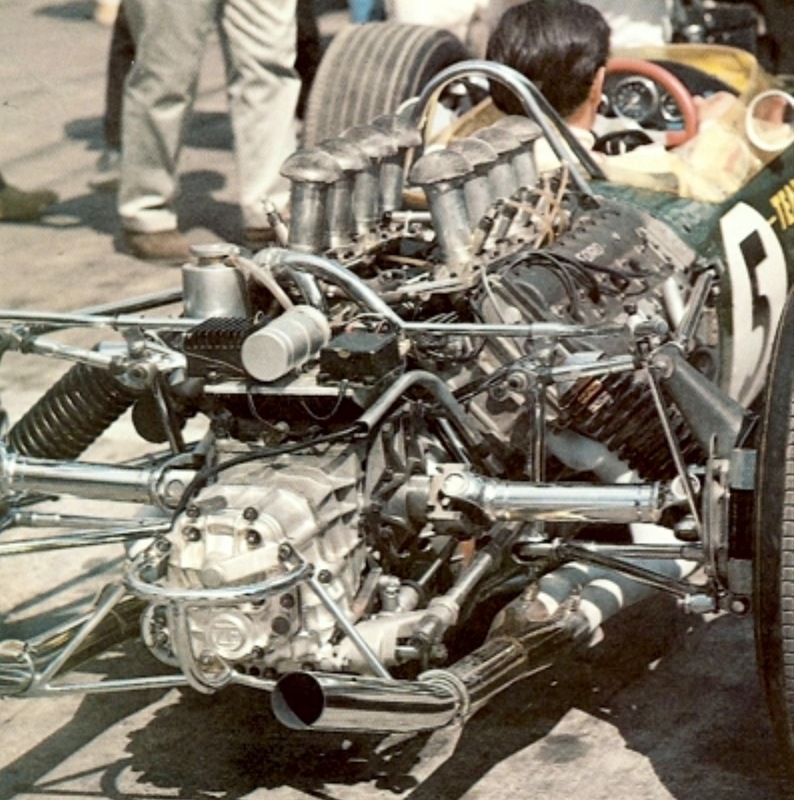 The engine famously had it’s only victory, in a Lotus 43 in Clarks’ hands in the US Grand Prix several months later. Brian Watsons shot of the smoky H16 engine in Clarks’ Lotus 43 about to pop at Oulton Park! 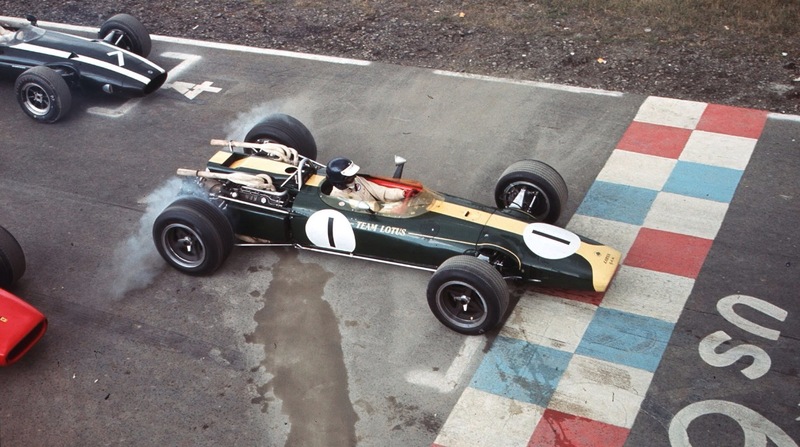 The Lotus 43 was a much maligned car…but the facts tend to suggest it wasn’t quite as bad as many would have us believe. 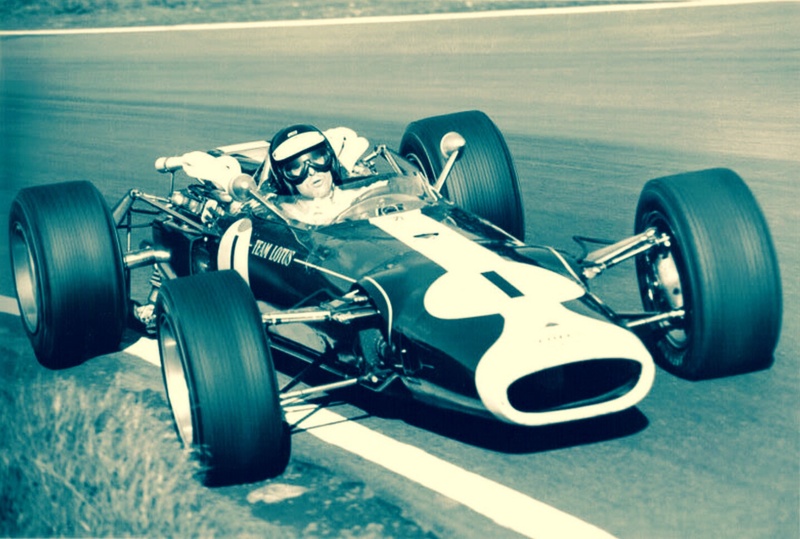 Clark raced the car four times in the 1966 Italian, US and Mexican GP’s and in the first of the 1967 Grands’ Prix in South Africa. He scored one win at Watkins Glen, qualified on the front row three times, once on the second and was competitive in all four events…i’m not saying he wasn’t happy to race a nimble 33 at Monaco rather than the 43 or that he was sorry to forsake the 43 for the 49 at Zandvoort however! Its technically interesting in that the P75 BRM engine was used as a stressed member of the chassis in the same way the Ford Cosworth DFV in the 49 which followed was, much is made of this aspect of the Ford DFV’s attachment medium to the car but Vittorio Jano used the technique in his 1954 Lancia D50 GP car. T’wasnt the first time it was done. The BRM engine was attached to the rear bulkhead, as was the DFV to the 49, the suspension mounted to the engine and gearbox as was the case with the 49. The BRM P75 engine was a massive lump…essentially it was two of the P56 BRM 1.5 litre V8’s, but at 180 degrees, placed on top of each other. Its designed weight of of 380Lbs ballooned to 555Lbs…the DFV weighed less than 400Lbs. 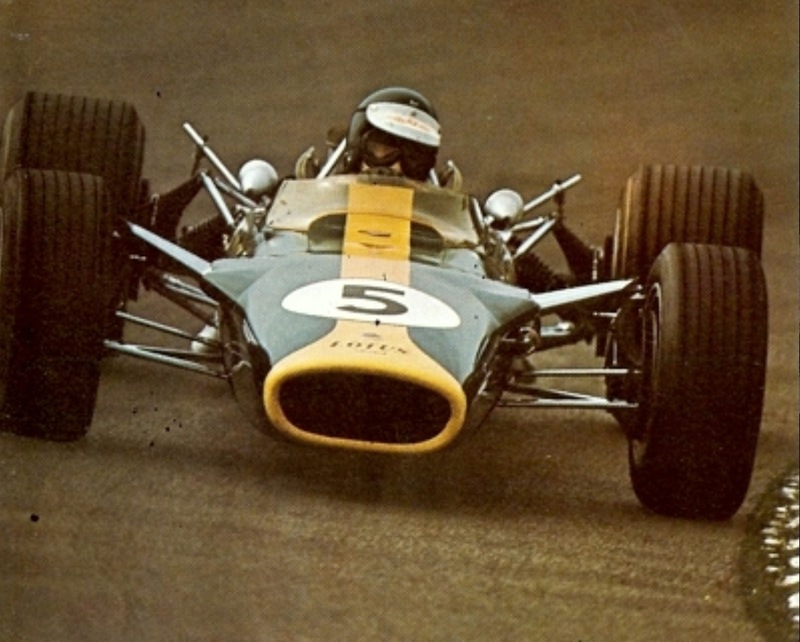 ‘Road and Track’ magazine published the scrutineered weights of the cars at the 1966 Italian Grand Prix, the ‘Twiggy like’ Brabham BT19 weighed 1219Lb, a marked contrast to the Cooper Masers 1353Lb, and the ‘pork-chop’ BRM and Lotus 43 at 1529Lb and 1540Lb respectively. Mind you, the Honda topped the scales at 1635Lb. 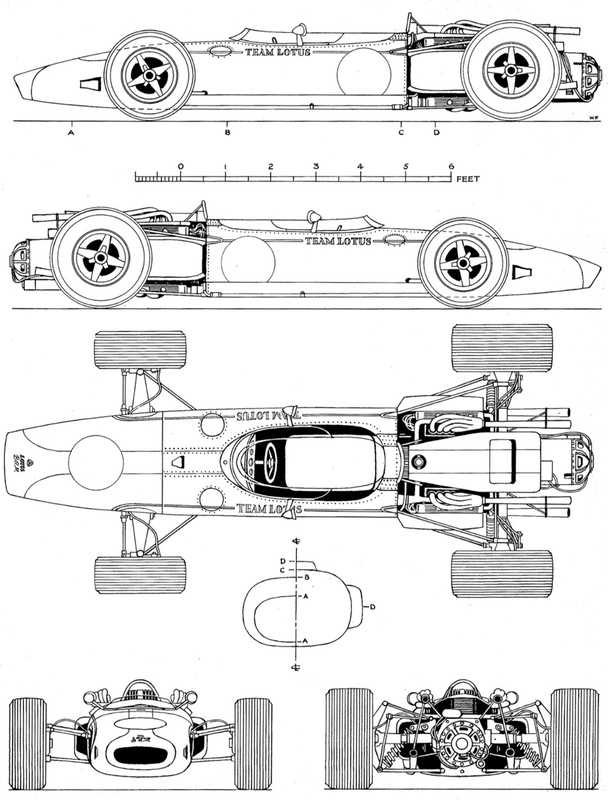 Interestingly the ‘Hondola’ (Lola designed chassis) which won Monza in 1967 weighed 1309Lb, having lost 300 Kg in twelve months whereas the BRM’s had gotten heavier at 1570Lb…the Lotus 49 weighing 1200Lb. 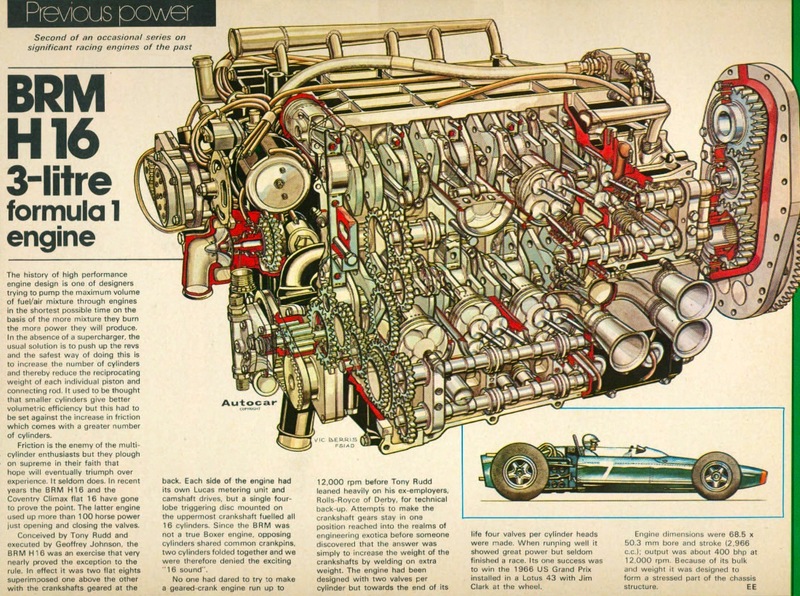 The DFV at that stage developed about 405 BHP whereas the BRM P75 ‘H16’ never developed its claimed 400BHP and had a lot of weight to carry. 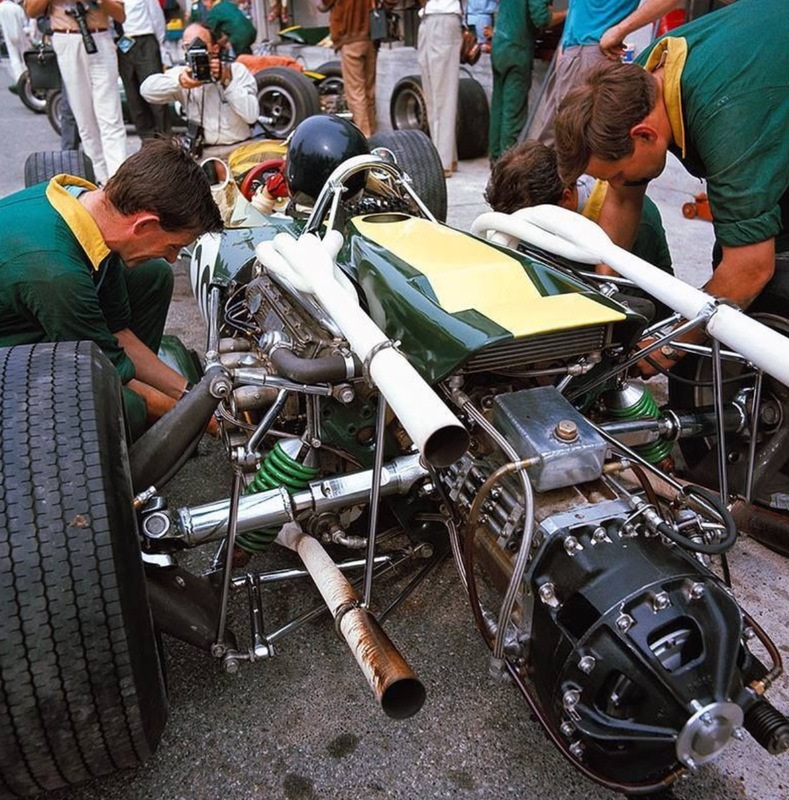 The Lotus 43 was far from the worst Lotus ever built…and many of its GP cars didn’t win Grands Prix, for sure the BRM P75 ‘H16’ engine was never to have the reliability of the 49’s Ford Cosworth DFV which one wag descibed as ‘ the spacer between the rear bulkhead and the gearbox’ such was its dependable nature! He won with that donkey of an engine…..who else. yep! amongst his many skills was mechanical sympathy. By the way, my name is Antonio.